3M™ tape that provides excellent adhesion. Easy to use or stow away with 360° rotation design. Simple to install, no additional tools required. Non toxic, Free of Heavy Metals, Tested BPA Free. To parents, child safety has always been the top priority. Our home is the safest place, as we so often assume, but is it really true? 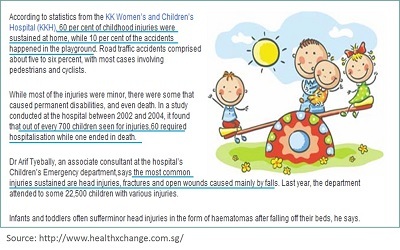 According to a NUH study, home is the most common place of accident for children. 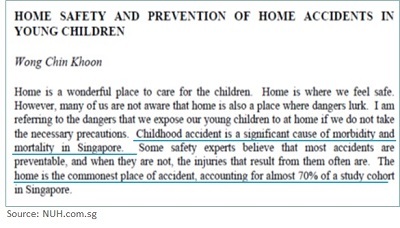 Prevention of home accidents can be readily done and is crucial in building a safe and secure playing environment for our young children. Not all tapes are made with equal performance. At 3M™, we have a spectrum of different graded tapes. 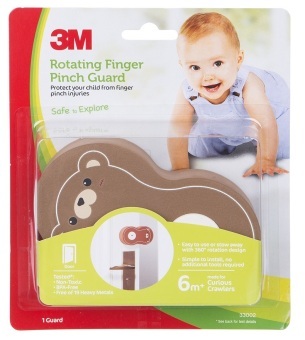 For 3M™ Child Safety range, adhesion is a very important aspect because if the product is unable to withstand the inquisitive hands of a child, it has failed in its purpose. Our products come with 3M™ branded premium grade tape that provides excellent adhesion thus giving parents a peace of mind. Young children will put anything they can get their hands on into their mouths. Hence at 3M™, safety is of paramount importance when developing this range of products. We subject our products through rigorous testing with international and independent labs to ensure the products are toxic free thus giving parents a peace of mind. BPA is an industrial chemical that has been used to make certain plastics and resins since the 1960s. Exposure to BPA is a concern because of possible health effects of BPA on the brain, behavior and prostate gland of fetuses, infants and children. 3M™ Safety Products come with detailed and easy step-by-step installation guide on the packaging to ensure fuss-free installation for you. All great quests have bumps along the way. Your child’s exploration around the house need not be filled with knocks and bruises – as long as you have the right safeguards. Let our children run free to safely explore. Let them discover wonder. "3M’s rotating finger pinch guard is genius. 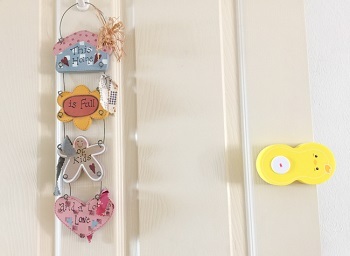 You stick it on the door and it stays there all the time. When you need the pinch guard to work, you simply swivel it out and when you’re done, you just swivel it right back. Voila! 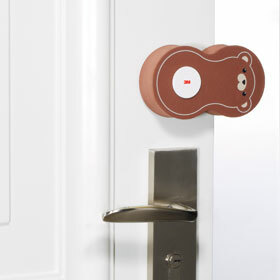 No more hunting around for a pinch guard when you need it and more importantly, no more injured baby fingers when this little guy is playing peekaboo behind the door. And how cute are the designs? I’m happy to have this on my door all the time. 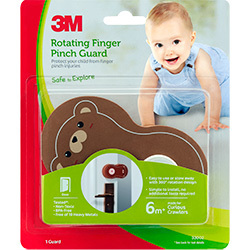 In addition to the thoughtful design, 3M™ child safety products come with reliable 3M™ adhesive, making them stronger and longer-lasting. You don’t have to worry about replacing the adhesive after a few weeks."